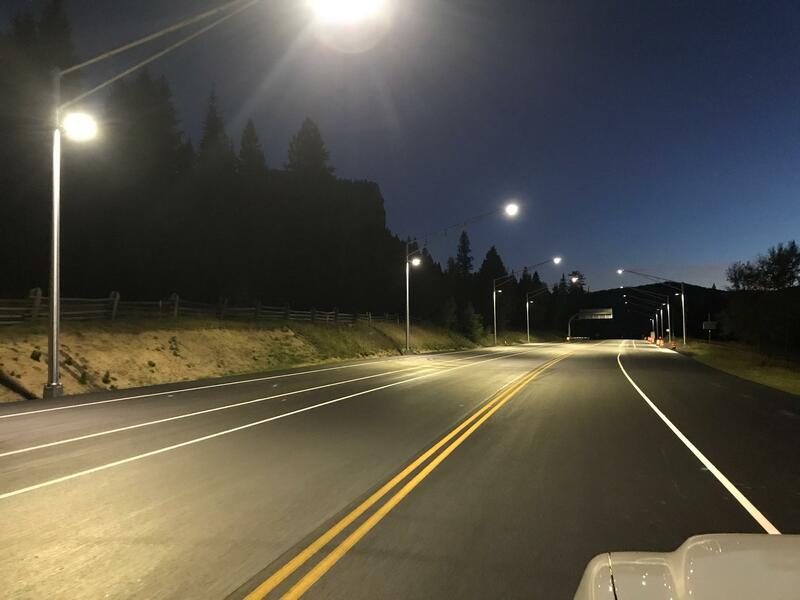 Just in time for winter travel, nine new luminaires will improve safety for truckers and all motorists at the chain station near Treasure Falls, near the western base of Wolf Creek Pass. 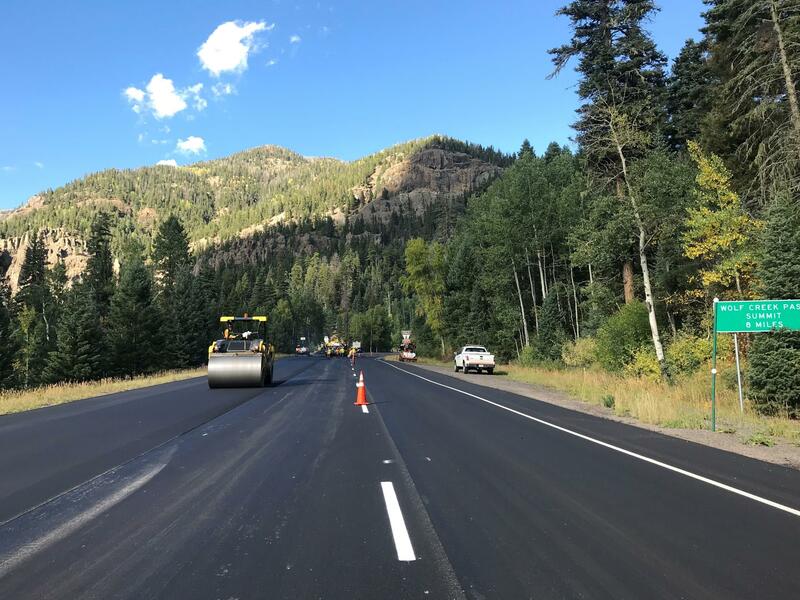 After crews worked on patch and slide areas on the highway from Treasure Falls scenic turnout to Pagosa Springs' east side, some 55,000 tons of new asphalt was placed on the roadway. ARCHULETA & MINERAL COUNTIES—Crews have finished resurfacing a 14-mile stretch of US Highway 160 east of Pagosa Springs, from Colorado Highway 84 (mile point (MP) 144.29) to west of the Treasure Falls scenic turnout (MP 158.56). These improvements will enhance safety with features such as the newly enhanced chain-up station—designed particularly for the big-rig trucking community—said CDOT Project Engineer Bridget McDougall. "The roadway has a brand new 2.5-inch surface, consisting of a 1-inch leveling course of asphalt that addressed imperfections on the former highway surface, which was then finished with 1.5 inches top mat asphalt," explained McDougall. "There was a total of approximately 55,000 tons of asphalt placed on the highway!" This project was contracted to A & S Construction for $7.5 million. The project remained within budget through completion.